You are here: Home » Happy birthday, Wayne – Has Rooney lived up to the hype? Happy birthday, Wayne – Has Rooney lived up to the hype? Wayne Rooney celebrates his 27th birthday, just over 10 years after he introduced himself to the world of football with THAT goal for Everton against Arsenal. 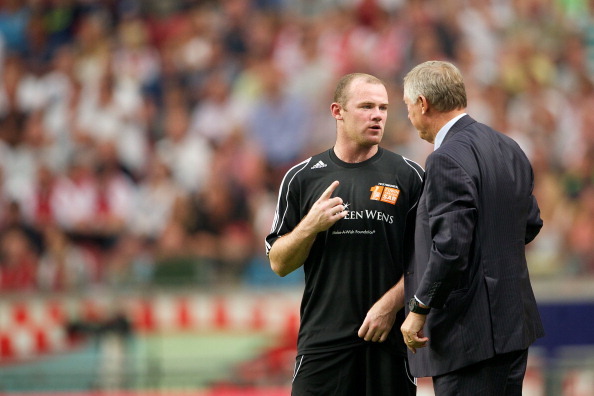 Since then, Rooney has joined Manchester United and represented his country England 78 times. But the boy wonder who promised so much as a 16-year-old has often begged the question: has he really ever lived up to his hype? Read their views on the Daily Mail website. Meanwhile, BBC Sport’s Stephen Shemilt also ponders over the question of whether or not Rooney has fulfilled his potential.